The other side of Vietnam. Foodies love to explore and allow their palates to travel to distant places, not just by flying away, but by also trying out new restaurants within reach. Dalat Authentic Vietnam Cuisine offers something different from what we Filipinos have grown accustomed to. Dalat is a place in Southern Vietnam that was a French colony and its colonial heritage is still seen today. 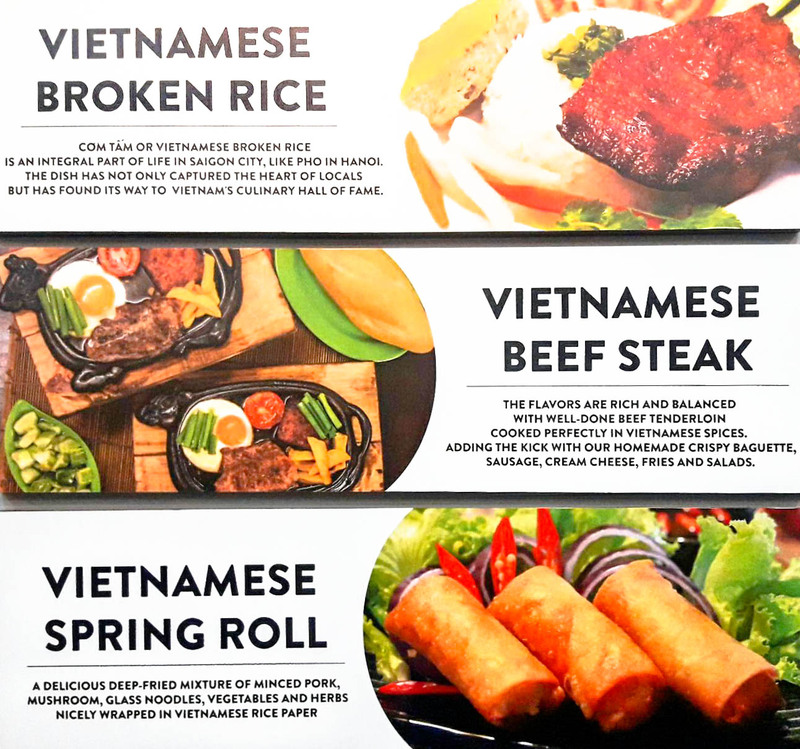 Jay Le, the restaurant owner, hails from Dalat and is introducing Vietnam cuisine that isn’t usually available in traditional Vietnamese restaurants in the metro. One such dish is their Vietnamese Beef Steak. This comes with well-done beef tenderloin cooked in Vietnamese spices, Vietnamese sausage, cream cheese, fries, egg and their freshly baked crispy baguette. Instead of Pho, here you can enjoy their Spicy Beef Noodle. It’s a Vietnamese soup made of rice vermicelli and beef. It’s spicy, sour, salty and sweet rolled into one, plus the lingering taste of lemongrass. And there are also the more familiar items that make their way to the menu. Like spring rolls and the famous Vietnamese coffee. Their Vietnamese Spring Rolls are packed with meat (minced pork), mushrooms, glass noodles, vegetables and herbs wrapped in Vietnamese rice paper. Dip this in their special fish sauce to bring out more flavors. Imported Vietnamese Coffee is served in a water bath where the concentrated, rich and full-bodied coffee drips on top of the condensed milk. Mix it well and pour over an ice-filled glass. I usually have my coffee black, but this is a very delicious exception. There are still so many food items I haven’t tried. The next time I go here, I will definitely order their “broken rice” meals. 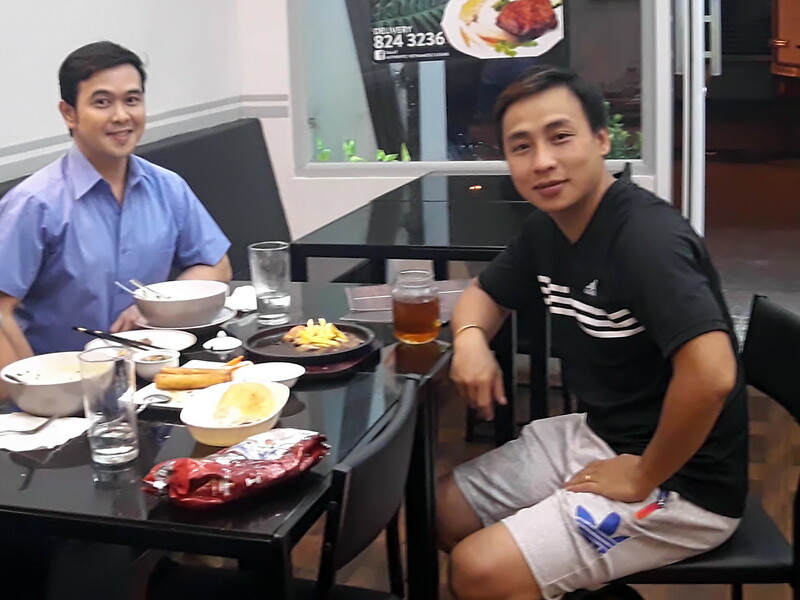 Broken rice or fragmented rice grains are used for this meal that has become an integral part of life in Saigon, Vietnam, according to Jay Le. All the three meals are priced at Php155 only and they come with special sauce, one fried egg and a bowl of vegetable soup. You can try their grilled chicken or grilled pork. I’m also excited to order the Salted Lemon Juice for my next visit. Lemons soaked in salt water for over a month are used for this drink. Also available are packed treats imported from Vietnam.